THE 2017 Africa Cup of Nations reaches its climax this weekend in Gabon when a new champion is crowned on Sunday, February the 5th. Last week in this column, I made the case that, considering the quality of the matches played so far, the gap between the so-called big teams and small teams in African football had narrowed tremendously and that every team would have to earn their plaudits the hard way henceforth. The ink (or shall I say the keyboard) on the article hadn’t dried completely when defending champions Cote d’Ivoire were knocked out of the tournament by Morocco. The Elephants thus became the latest cup holder to not advance beyond the group stages. Since then, quarter-final matches have been played and the surprises and close-calls have continued. 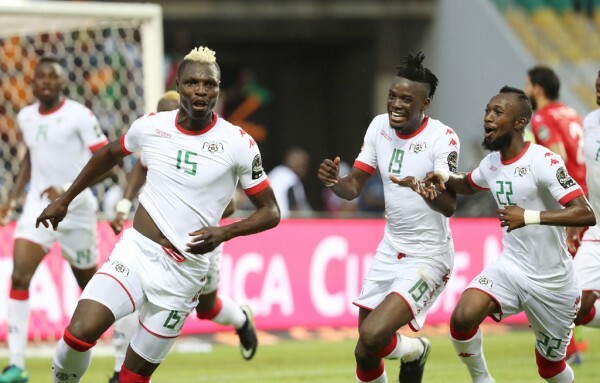 Burkina Faso shocked Tunisia 2-0 while a young Cameroun team pulled off an even greater shock by beating high-flying, start-studded Senegal 5-4 on penalties following a goalless draw. 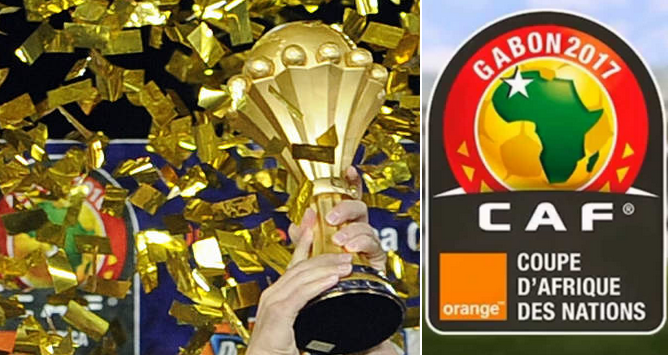 Ghana held off Democratic Republic of Congo 2-1 with the winning goal coming from the penalty spot while Egypt edged a North African derby with a late goal for 1-0 win over Morocco. Semi-final 1: Burkina Faso versus Egypt. The Burkinabes have proved that their runner-up finish behind champions Nigeria at AFCON 2013 was not a fluke. They have kept the bulk of that 2013 team together under the same coach Paulo Duarte, and now they’re reaping the reward for their continuity and consistency. Captain Jonathan Pitroipa and top striker Aristide Bance are two of the most recognizable players in the team. Having beaten Tunisia 2-0, they must have self-belief that they can also overcome another North African side in the shape of Egypt. The big difference to Tunisia is that seven-time champions Egypt have not conceded any goal in this tournament and they’re looking like their old selves again having missed a couple of AFCONS during the Arab spring. They demonstrated their traditional organization and resilience in beating a more resourceful Morocco in the quarter-final. You have to be very courageous to bet against the plucky Pharaohs at this stage. However, let me confess that I’m biased in Burkina Faso’s favour and I want them to stop Egypt from further extending their enviable record of seven AFCON titles. Yes, I’m jealous of the North Africans’ achievement and I’m not hiding it. My tip for the Final: Although Egypt are the favourites to win this tie, I will gamble on Burkina Faso pulling off a surprise 1-0 win. But don’t blame me if you lose your bet! Semi-final 2: Cameroun versus Ghana. Talking about Nigerian jealousy, I wish the Confederation of African Football (CAF) will just disqualify Cameroun and Ghana, cancel their semi-final tie and just send them home! These two are Nigeria’s eternal rivals and the thought of any of them reaching the final or winning the cup is the ultimate bad news! But since I have to pick one of these “enemies,” anyway, I will go for Ghana. 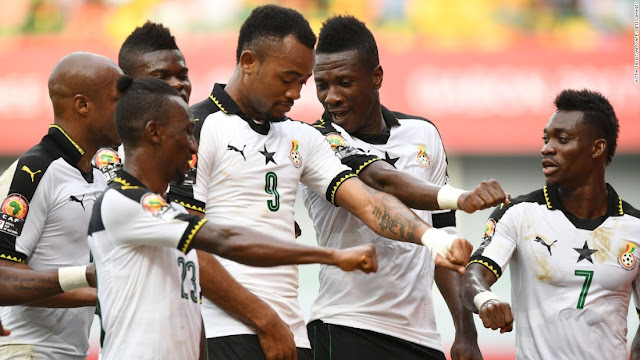 The Black Stars have been the most consistent team at the AFCON in the last decade or so. They have reached five straight semi-finals and crossed over into a couple of finals but have not been lucky to lift the trophy. Maybe, just maybe this will be their year of glory. Cameroun on the other hand are just regaining the form that made them to be feared by the whole continent during their dominant years. Like Algeria, I wanted Cameroun to be eliminated early from Gabon 2017 so that they would not gain any momentum ahead of the 2018 World Cup qualifying double-header against our Super Eagles later in August. But the youthful and stubborn Lions defied the odds as usual to knock out a more fancied Senegal in a penalty shoot-out in the quarter-final and are now knocking on the door of the final. Kai! My tip for the Final: If Ghana don’t win this one, that is their problem! I’m tipping them to win 1-0 anyway. If Burkina Faso and Ghana do make it through to the final, I will have to cast aside my jealous of the Black Stars and tip them to win their first AFCON title since 1982, even though I would have preferred Burkina Faso to win their own first ever title. But if Egypt beat Burkina Faso (like they’re capable of doing despite my personal wishes), and face Ghana in the final, it will be a repeat of the first round clash between both teams at this tournament which Egypt won 1-0. The title can go either way to Accra or Cairo. The only possibility that I don’t want to even contemplate at all is to see Cameroun in the final. So, I will not even speculate on them getting there. No, I don’t want even to think about it. That’s the true meaning of rivalry! BY FAR the biggest news item in the world of sport last weekend was the Australian Open tennis women’s and men’s finals in Melbourne. Pre-tournament, nobody could have written the script for such an emotional, historic and action-packed climax to the traditional first Grand Slam of the year. Venus Williams had been on a downward spiral and out of reckoning in the women’s rankings in recent years, but summoned enough energy to reach and play her part in a historic final as her sister Serena Williams won a record-breaking 23rd grand slam title with a 6-4, 6-3 victory. In the men’s final, Roger Federer and Rafeal Nadal who had been discussing playing an exhibition match together only last June at the launch of Nadal’s tennis academy following injury-enforced absence from the tour, suddenly found themselves as unlikely opponents in Australia as Federer grabbed an 18th Grand Slam title after a five-set thriller. Who else but Nadal, Federer’s chief foe, to make it a grand occasion. At 35 years of age and with so many young challengers coming through in both the men’s and women’s tours, the achievements by Federer and Serena are simply incredible. Those of us alive to witness the making of history by these legends should count ourselves lucky. When their stories are told 50 or 100 years from now, they will be described with the acronym G-O-A-T: Greatest Of All Time! · Mumini, I will pick Chelsea to win the EPL only after 30 games have been played. I pick Liverpool to finish in the top four. The absence of Sadio Mane has affected them. My top four clubs are Chelsea, Liverpool, Tottenham and Arsenal. – Howard Odigie, Lagos. · I will rather wait till week 25 when crucial matches will be played. I see a dramatic change in the positions of the top four. Thanks for your rich insights. Best regards. – Olumide Sobiye, Ikeja, Lagos. · Oga Mumini, I don’t agree with you that the EPL race is done and dusted and this will be the first time I will be having a contrary view to your opinion on Soccertalk. I give the title to Tottenham. Chelsea, Arsenal and Man. United to finish in top 4. United for life. – Lanre Oredein, Benin City. · Alhaji, I agree with you totally on the way the EPL will end. The EPL is for my darling team Chelsea. – Uba Stephen Igwe, Badagry. · Chelsea, Man. U, Man City and Arsenal. Liverpool and Tottenham will struggle for the fourth position. – Adeyinka Corsim, Oshodi, Lagos. * You have picked to 5, not 4! – Ed. · Dear Mumini, I’m tipping Senegal or Tunisia for AFCON. Chelsea, Tottenham, Liverpool and Man. United for EPL. – Peter O. Savage, Lawanson, Lagos. * Your AFCON tips have been eliminated – Ed. · EPL race is still open not over yet. If you look at the gap between the six teams now, you will know that it’s still open. Top four will be Chelsea, Arsenal, Tottenham and Man. City. – Moses Ajinge. · My top four teams are Chelsea, Tottenham, Liverpool and Arsenal. – Adesope Y. A. · Arsenal, Chelsea, Tottenham and Manchester City/Liverpool. – David Osita, Lagos.